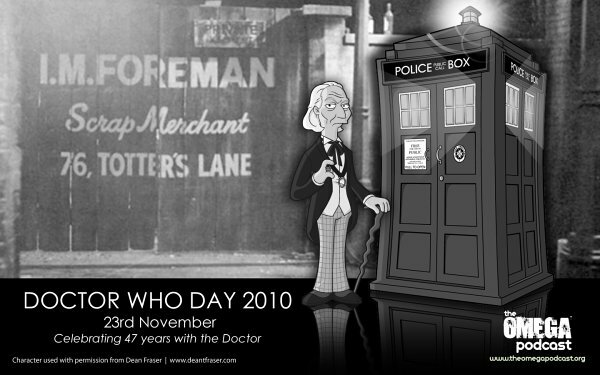 Bloggity-Blog-Blog-Blog: Happy Doctor Who Day! 47 years ago, school teachers Ian Chesterton and Barbara Wright, as well as one of their students, a sixteen year old girl named Susan Foreman, disappeared mysteriously. A car belonging to Mr. Chesterton was found near near I.M. Foreman's Junkyard at 76 Totters Lane in Shoreditch, London. Their absence was noted at Coal Hill School the following school day. An investigation was begun, but no trace could be found of the missing teachers nor their pupil. In fact, while researching Susan Foreman, no records of the girl could be found. The homes and property of Mr. Chesterton and Miss Wright was turned over to their respective families. Surprisingly, in June, 1965, Mr. Chesterton and Miss Wright arrived at Coal Hill School. When asked about their absence and the disappearance of the young Susan Foreman, they only shook their heads and said that the girl was safe and happy, but their stories could not be believed. Finally, they claimed to have visited Africa during their two year leave, though no evidence of such a visit exists. Further investigations into the fate of Susan Foreman revealed nothing. Ian and Barbara have since married, and have raised a son named John. They serve as professors at Cambridge University, mysteriously seeming as young as they were back in 1963. Whatever happened to Susan Foreman on November 23, 1963 remains a mystery.